In addition to announcing lighter — and more powerful — lithium battery packs at CES 2017, Goal Zero has also taken the wraps off of a couple of other interesting products. These items include the new Yeti Fuel, a gas generator designed to provide power when solar isn’t available, and a new line of more efficient and affordable solar panels. The Yeti Fuel is a stark departure from Goal Zero’s previous products, which have always emphasized clean, eco-friendly power solutions for use in the backcountry. The company made a name for itself nearly a decade ago when it released portable charging solutions equipped with solar panels and lead-acid battery packs that offered clean, quiet power on the go. 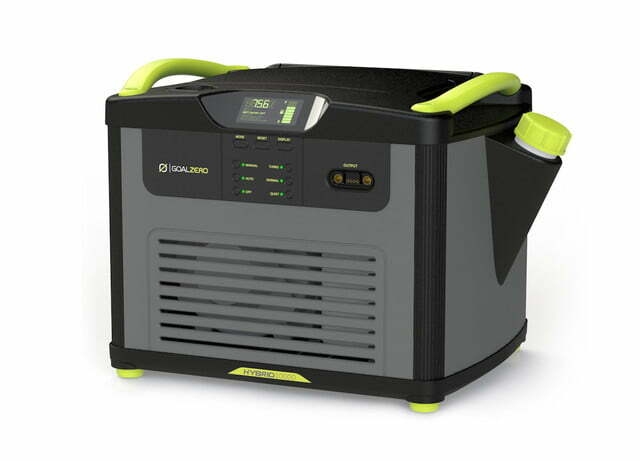 Part of the appeal of using Goal Zero’s equipment was that, unlike traditional gas-powered generators, they were silent, didn’t produce any fumes, and could be recharged using the sun. The Yeti Fuel is a step toward a more traditional approach, but done in a smarter fashion. Designed to work in conjunction with any of the Yeti Portable Power Stations, the Yeti Fuel connects to the new Lithium battery packs, providing power when no other options are available. This integrated ecosystem has some nice benefits, too, including the ability to sense when the battery pack is full and automatically shut itself off. This helps conserve gasoline and limit the amount of noise and fumes produced by the gas-powered motor, which can often be distracting when in an otherwise quiet environment. Goal Zero says that the Yeti Fuel provides more versatility for those who use its battery packs in the field. 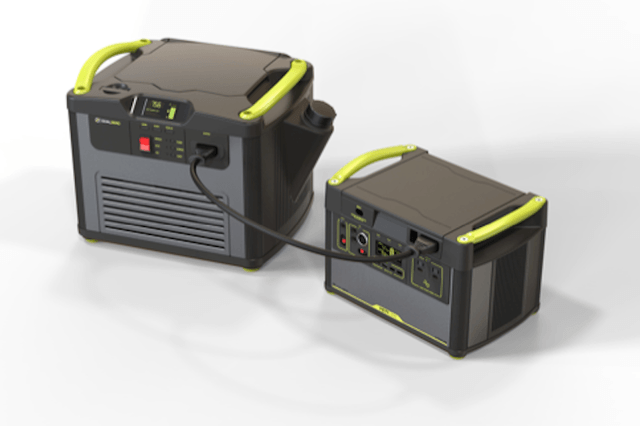 Sometimes solar charging isn’t an option due to location or weather, and this generator can help to eliminate that problem by providing power in a pinch. Plus, even when the sun is out, using solar panels can sometimes take longer than you might expect. The Yeti Fuel provides steady, efficient power that only needs to be turned on when absolutely necessary. Despite adding a gas-powered generator to its lineup, Goal Zero hasn’t forgotten about its commitment to clean energy. The company also announced a trio of new solar panels under the Boulder moniker, some of which are capable of generating as much as 100 watts of power. 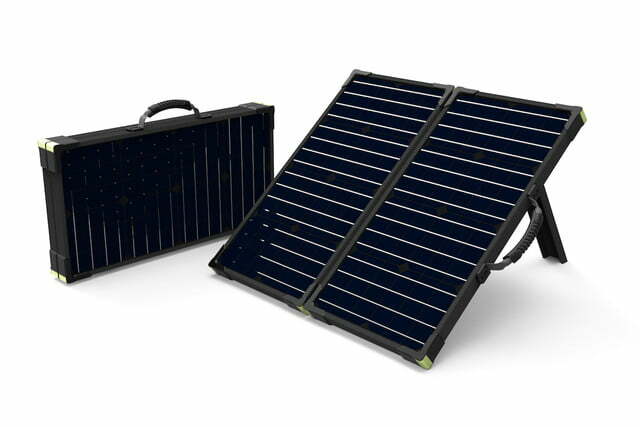 These options include the Boulder 50 and Boulder 100, as well as the Boulder 100 Briefcase, which includes two 50-watt panels housed within a foldable design. 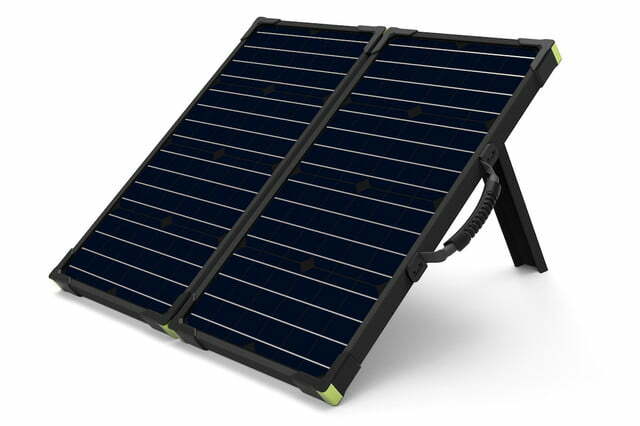 These panels are made from durable tempered glass and an aluminum frame, and come with built-in kickstands, which allows you to angle them toward the sun for greater efficiency. The Yeti Fuel is expected to begin shipping sometime in the third quarter of this year, with pricing yet to be determined. The Boulder 50, 100, and 100 Briefcase will be available in March for $150, $300, and $375, respectively.